A new International Foundation for Electoral Studies (IFES) report finds women who run for office in Zimbabwe face a variety of persistent challenges, and calls into question the 10-year time limit on Zimbabwe’s quota system. This post is authored by Hilary Matfess, doctoral candidate at Yale University. 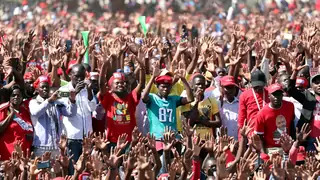 Zimbabwe’s Elections: Whose Confidence Counts?